There is no gaudy gold watch. No loud tailored suit or shiny Italian shoes. Nothing immediately giving away that the quiet man sitting at the simple plastic table in the simple plastic chair is considered one of the greatest basketball players in history. It isn’t until he stands up and unfurls his 6-foot-9 frame — or until you shake his hand and watch yours become lost in its massive grip — that you start to get an idea of whom you’re dealing with. 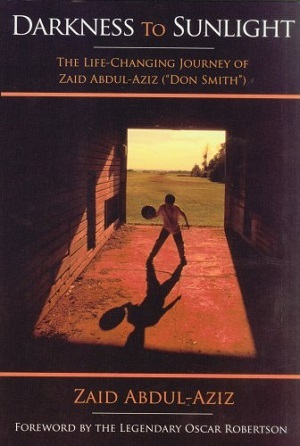 Zaid Abdul-Aziz, born Don Smith in Brooklyn, N.Y., played 10 years in the NBA from 1968 to 1978. It was during that time that he converted to Islam and changed his name, a bold move during a politically and racially volatile time in the United States. Twice named All-American at Iowa State University — where he would eventually have his No. 35 jersey retired — Abdul-Aziz was taken with the No. 5 pick in the 1968 NBA Draft. At the peak of his pro career he averaged over 13 points and 11 rebounds per game while going shoulder-to-shoulder and elbow-for-elbow with future Hall of Fame centers like Wilt Chamberlain, Kareem Abdul-Jabbar and Wes Unseld. Abdul-Aziz retired in 1978, and in 2011 he was named one of the NBA’s 500 greatest players by SLAM magazine. And yet today, like many of the congregation that meets at the Downtown Muslim Association in Seattle for Jummah prayer each Friday afternoon, you might walk into a room and totally miss Zaid Abdul-Aziz. It’s not just because he spends most of the khutbah sermon and salat prayer seated near the back of the room. (At his size, at 67 years old, with over 500 NBA games and countless NYC playground wars weighing on his knees, can you blame him?) Rather, his humility overshadows any appearance of arrogance or self-importance. 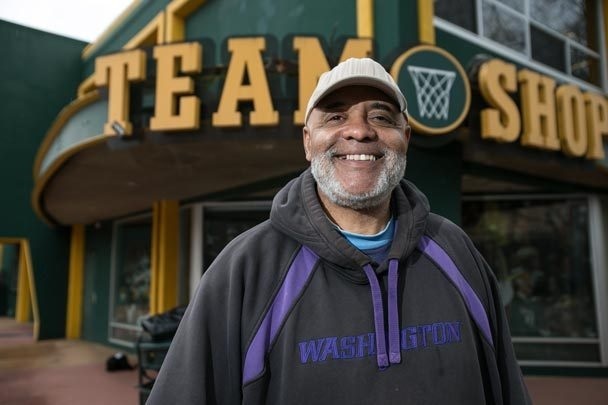 Haywood, whose landmark lawsuit against the NBA legalized early-entry into the draft and paved the way for modern superstars like LeBron James and Carmelo Anthony, bonded with Abdul-Aziz off the court during their hours of listening to jazz trumpeter Lee Morgan. Mussehl embraced Islam in the mid-1970s. He credits Abdul-Aziz with introducing him to the religion and inspiring his conversion. UMMAH SPORTS: What role did religion play in your life when you were growing up in Brooklyn? ZAID ABDUL-AZIZ: I was raised Catholic. But like most people, we think we’re religious but we really have no concept of what we’re doing. I called myself a Christian but I didn’t read the Bible. I only went to church when I got in trouble or when I had a problem. So I was calling myself a Christian but I didn’t have a concept of it. That’s the majority of the people today. When did you start to question things like religion and the meaning of life? A number of times I started questioning. But the big question came when I was in the NBA. We were on a plane flying into Chicago and the pilot says, “Ladies and gentlemen, please fasten your seatbelts. We’re going to hit some turbulence going into O’Hare International Airport. There’s 10 feet of snow on the ground. Please fasten your seatbelts, we may have some bumps going in.” When I heard that I was like, “Wait a minute; this plane could go down any time. Am I prepared?” And I felt like I wasn’t prepared as far as my spiritual life was concerned. What pulled you toward Islam? I was a teammate with Kareem Abdul-Jabbar in Milwaukee. One day in practice — we had just won a game but we would have won it decisively if we’d made our free throws — our coach, Larry Costello, had us take extra free throws. So I went over and started taking free throws, and Kareem comes over to me and sees the gold cross I had around my neck and asked, “What’s that?” I look down and I see the cross, but I couldn’t explain what it was. That confirmed it for me that I needed to find the truth. Jesus had said to seek the truth and the truth shall set you free, so I said, “I’m gonna follow what Jesus said.” The next day I went to the Milwaukee library and I got a Bhagavad gita, I got a Bible, I got a Quran and I got a Torah. I was going to do the scientific method: gather all the information, take it to the laboratory — which was my apartment in Milwaukee — dissect it and then make a hypothesis and a conclusion. I read the Quran, the Bible, the Torah … and everything pointed me to Islam. So the next year I became a Muslim. Because you’d come from a Christian/Catholic background, were you already leaning toward monotheistic religions? Were you open to alternative religions? Well, I also studied Hinduism and Buddhism, but they just didn’t answer it for me. When I read the Quran, it answered everything for me that I needed to know. What happened when you were ready to become a Muslim? I was in Houston then. I just went to a mosque and said I wanted to be a Muslim, and they gave me my Shahada: I bear witness that there is no God but Allah, and Prophet Muhammad is his final servant and messenger. At that time I converted to Islam, it opened a whole can of worms. This was 35, 40 years ago. There was a lot of turmoil in the country, so when a person became Muslim, they thought it meant he hated White people. Some people I knew couldn’t figure out how Zaid could hate White people. They didn’t know that Islam is not like that. What kind of reaction did you get from teammates, friends, family? Like anything else, when people don’t understand something, they kind of think you’re weird. There’s a lot of mystery with Islam, so some of the people who really respected me as Don Smith, it was hard for them to make a change and respect me as Zaid Abdul-Aziz. Some people wrote me off, like they were feeling sorry for me because they thought I made a mistake. I put everything on the line. But most people I knew, they saw me as a better Don Smith. Do you think being a Muslim at that time had a negative impact on your career, as far as how the NBA looked at you? Your last four years in the league, you played with four teams and didn’t stick around in one place for more than a season. It could have been about how the league perceived me. That’s possible. But I have no regrets for how people saw me at that time, whether it was friends or associates or the NBA. I’m very happy with who I am. I had a good career. When I do speaking engagements now, I have a mantra: Basketball was something I did. It’s not who I am. I played 10 years in the NBA. That’s a long time. That’s a lot of airports, a lot of hotels, a lot of games. And a lot of practices. A lot of people think you just go out and play games, but you have a lot of practices, too. It all took a toll on my knees, running up and down the court. And I played on concrete in Brooklyn. Your knees remember all of those games. I thank God I was given the opportunity to play in the NBA. I never would have thought I’d be able to do that. I was at peace with my career. What happens today with a lot of athletes is they retire and then they don’t have anything to do. They feel like they’ve lost everything because their identity was only basketball. I have a life. I have a product, which is my book that I wrote. So I’m very blessed. It’s been a blessing to be able to put my life story out there. When you were studying all those religions, what was it about Islam that appealed to you? The lifestyle appealed to me. As a professional athlete, I have to take care of my body. There were some athletes in the NBA back then, they’d drink beer after a game. They’d party, stay out late. That was never my focus. I’m not going to drink because I have a game the next day. I’m not gonna go to the disco and come home at four in the morning, because I have a game the next day. I wasn’t going to abuse my body. When a lot of guys went out to party, I was at home or at the hotel getting my rest because I had to guard Wilt Chamberlain the next day. Or I had to guard Kareem, or Bob Lanier or Bob McAdoo the next day. Islam was not only spiritually healing for me, but also physically healing. I was always different that way. My family used to say I was a little old man (laughs). I used to think ahead to the consequences of certain things, even at a young age. When cocaine came into the NBA in the ‘70s and ‘80s and everybody was getting high, that wasn’t my thing. I could’ve been 10 years old and I wouldn’t do that. I was blessed by the Creator to be able to differentiate the straight path from what is not the straight path. Do you think being a Muslim cost you endorsements and other opportunities? It may have. I didn’t have any endorsements. But when a person makes a change, they pay a price. I wouldn’t want to be some of the high-profile athletes today. I wouldn’t want that. I just like the simple life. I’ve seen what the fast life has done to some athletes, and I’m perfectly happy just being a normal person. Do you think a Muslim athlete in 2014 would have trouble getting endorsements or have any public-image problems? If you look at the business side of it, I think giving a Muslim athlete an endorsement would be a great business venture, because there’s a strong population of Muslims in this country and around the world. There’s something like 1.2 billion Muslims around the world. How long did it take to publish the book from start to finish? I had my manuscript done before I went to my editor. I felt my book was probably a Cadillac before, but then I met these two women: Nelda Dietz, who edited the book, and Mi Ae Lipe, she did the graphic design. My book was like a three-star book, but after meeting with Nelda and Mi Ae, I really feel like it’s a Mercedes or a Rolls Royce. It’s a five-star book now. It would have been a Chevrolet without them. It took about three years to write it, about a year to edit it and get all the permissions and everything, so in total it took about four years. But there’s a lot more that has happened since I wrote the book, so what I’m doing now is I’m working on an addendum; I want to add about 150 pages. How did basketball become part of your life? I was a prodigy, and by that I mean I was given a lot of skill. It’s like if you ask Bobby Fischer why he became a chess grandmaster at the age of 12. It was just given to him. If you saw the chessboard and asked him why he moved the bishop here, he’d say it just looked right. Same thing if you take a kid that plays classical piano at two years old and ask him to hit an E-flat. He might ask, “What’s an E-flat?” He doesn’t know how to explain it, but he knows how to do it, you know? I was given those same tools as those prodigies in basketball. I don’t know why the Creator gave me those tools. I was a two-time All-American. I averaged almost 25 points a game and 14 rebounds a game in college. I was picked number five in the NBA draft, then I was picked as one of the 500 greatest players of all time, and I was picked 18th as one of Brooklyn’s greatest players. I’m not bragging about it, I’m just saying I’ve been blessed and saying how grateful I am. I played like a smaller Kevin Durant. I’m 6-9 and he’s 6-11, so I’m a little smaller, but I was a better rebounder. One thing I’d always wanted to do was to get 30 rebounds in one game. I came close; I had 27 one time. I loved to rebound. I had lots of 25s and 24s, and I thought one day I was gonna get 30. But 27 rebounds, that’s something I’m very proud of. One of my greatest tributes was for Oscar Robertson — who wrote the forward to my book — to say I was a great player. That was big to me. (Note: Robertson and Abdul-Aziz played together with the Cincinnati Royals in Abdul-Aziz’s rookie year.) After I was drafted, the Royals didn’t treat me very well. They’d put me in for one minute and then take me out. Then I got traded. I wanted to bring a championship to Cincinnati, and I thought nobody could see it but me. But as time went on, Oscar said, “Well, if that guy didn’t get the treatment Cincinnati gave him, we could have won a championship.” Oscar said he wished the team would have used me properly while I was there. How did you handle fasting during Ramadan while you were in the NBA? I found out later through some scholars that if you’re doing a hard labor, you can forfeit the Ramadan fast and make it up. But I didn’t know that at first. One year when I was in Houston, I was fasting during Ramadan and we were having two-a-day workouts in 105-degree heat. I was harming myself by fasting, but I didn’t know it might be acceptable for me to not fast and make it up. But I didn’t really want to quit the team. I’d gotten sick and lost all my vital minerals. It was like a form of depression. What I really wanted him to do was give me a little time off because I was fasting for Ramadan, but if I would have told him that, he wouldn’t have understood. So I quit. The next day I went in and I said, “No, I don’t quit.” My dad had called me and said he saw on the Today show that I’d quit the Houston Rockets. He said, “Boy, you’d better get back on that team.” So I went back. I didn’t know it, but I was in an anemic state. The Creator says if you’re doing hard labor you can make up the fast. A lot of Muslim athletes don’t realize that. There are exceptions. If you’re somewhere and you’re starving to death and a pig crosses your path, you can eat the pig if it’s going to save your life. So in the years after that, if Ramadan conflicted with the season, you wouldn’t fast? Well, that was unique in that it was the only time when Ramadan took place during training camp. It was the two-a-days that did me in. If it was during the season and I just had to play a game, I could do that while fasting; I would just eat really well the night before. But we had two-a-days, one at 10 a.m. and another at 4 p.m. That’s what gave me trouble. That was kind of my downfall. I was playing great with Houston, then I took that one-day hiatus and I never got back to being a starting center in the league. Every time I see Johnny Egan, my coach with the Rockets, I tell him I’m sorry because I walked out on the team. And I probably would have done the same thing as a coach. If a vital piece of the team quits, I’ve got to find somebody to take their place. Was it tough to maintain a consistent prayer schedule as an athlete when you’re on the road so much during the season? Islam makes up for that, because you can combine your prayers. So if I was traveling and missed Asr prayer, I could combine Asr with Maghrib when I get to the hotel. Or take Maghrib and Isha and combine them at night. God makes it easy. And if you miss a prayer, you just make it up. It doesn’t have the same value as if you’d prayed on time, but it has some value. When you played, did you have teammates or opponents ask you about Islam? Did you ever try to talk to them about the religion? When it comes to that, I feel like religion is a private thing. If somebody asks me about Islam, I’ll tell them what I know. But I don’t go around like, “You have to do this or you’re going to Hell.” To me, Islam is a very easy religion. It’s a very understanding religion, a compassionate religion. If a person wants to find the right way, I think most people know what they have to do. What do you mean by Islam being easy? I ask that because I think a lot of people see Islam as harsh and demanding, like you have to pray all the time and you can’t do a lot of things. If I took all of my prayers in a day and put them together, it probably would be no more than 45, 50 minutes combined. Each prayer is maybe 10 minutes and you pray five times a day. That’s 50 minutes out of a 24-hour day. We can sit up and watch the Super Bowl for six hours, but we can’t pray for less than an hour? That’s why I say Islam is easy. I don’t see it as a burden. Getting up at five or six o’clock in the morning (for Fajr prayer), that’s kind of difficult. Fasting during Ramadan, that’s kind of difficult. But we have to try to acquire discipline. I know that years ago that Spencer Haywood embraced Al-Islam. Is he still a Muslim?